Kimbro ugh Concert Hall is located just inside the lobby of Kimbrough Music Building. This 375 seat concert venue is used primarily for performances by students and faculty of the School of Music. 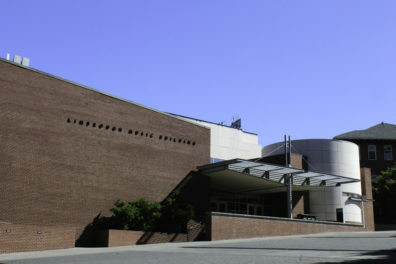 Built in the early 1970’s, the concert hall is the only room on the entry level that did not undergo renovation during the recent Music Building remodel (completed 2000). An expanded lobby area and an additional large rehearsal space (room 115) to the back of the hall were added during the renovation. In addition to recitals and concerts, Kimbrough Concert Hall is the meeting place for History of Rock and Roll (MUS 262), and Music Convocation. 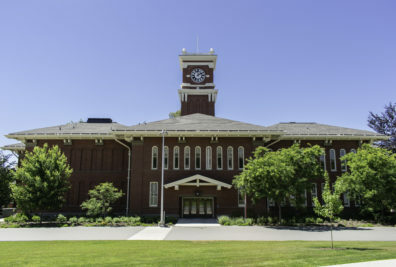 Bryan Hall Theatre is located in Bryan Hall, home of the clock tower. The second building on the WSC campus, this 778-seat vaudeville style house maintains its original design layout. A pit filler is in place during most of the academic year to accommodate large ensemble performances. Housed inside the theatre is a Maas-Rowe Carillon that controls the bells that ring from the clock tower and a Schantz, 44-rank pipe organ (installed 1976). Since 2008, these facilities have been assigned to and are used only for School of Music curricular and research activities.